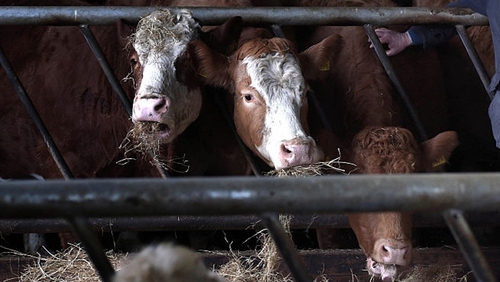 Polish companies at the heart of a food safety scandal sold nearly ten tonnes of suspect meat to food processing plants, with around a third exported to European Union countries, Poland's chief veterinarian Pawel Niemczuk said today. Mr Niemczuk said police have launched a criminal investigation into two companies after an undercover reporter filmed sick cows being taken for slaughter. "Our neighbours were asking about details of actions we have taken. I have convinced most of the countries that this situation in Poland was an individual case... The ware is being voluntarily withdrawn," Mr Niemczuk said. Food processing plants received around 9,500kg of suspect meat from the two companies, he said at a news conference. 2,700kg of that went to fellow EU countries including Sweden, France and Portugal, he said. The authorities launched food safety inspections in the wake of the report which was shown by private broadcaster TVN. Poland produces about 560,000 tonnes of beef a year, with 85% exported.